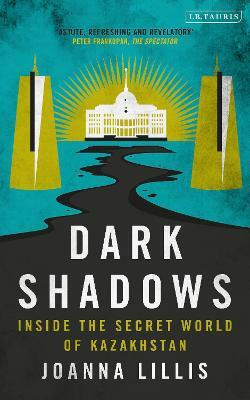 Dark Shadows is a compelling portrait of Kazakhstan, a country that is little known in the West. Strategically located in the heart of Central Asia, sandwiched between Vladimir Putin's Russia, its former colonial ruler, and Xi Jinping's China, this vast oil-rich state is carving out its place in the world as it contends with its own complex past and present. Journalist Joanna Lillis paints a vibrant picture of this emerging nation through vivid reportage based on 13 years of on-the-ground coverage, and travels across the length and breadth of this enigmatic country that lies along the ancient Silk Road and at the geopolitical and cultural crossroads where East meets West. Featuring tales of murder and abduction, intrigue and betrayal, extortion and corruption, this book explores how a president, Nursultan Nazarbayev, transformed himself into a potentate and the economically-struggling state he inherited at the fall of the USSR into a swaggering 21st-century monocracy. A colourful cast of characters brings the politics to life: from strutting oligarch to sleeping villagers, from principled politicians to striking oilmen, from crusading journalists to courageous campaigners. Traversing dust-blown deserts and majestic mountains, taking in glitzy cities and dystopian landscapes, Dark Shadows conjures up Kazakhstan as a living, breathing place, full of extraordinary people living extraordinary lives. Joanna Lillis is a Kazakhstan-based journalist reporting on Central Asia whose work has featured in the Guardian, The Economist and the Independent newspapers, the Eurasianet website and Foreign Policy and POLITICO magazines. Prior to settling in Kazakhstan in 2005, she lived in Russia and Uzbekistan between 1995 and 2005, and worked for BBC Monitoring, the BBC World Service's global media tracking service. While completing a BA in Modern Languages at the University of Leeds, she studied Russian in the Soviet republics of Belorussia and Ukraine before the collapse of the USSR, and has an MA in Interpreting and Translation from the University of Bradford.